Wuxi Ji Ao Casting Material Co., Ltd has hired quite a few of experts in the field of casting material as our consultants. 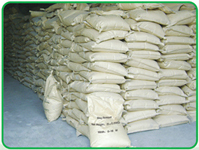 On the basis of the latest technology from the Huazhong University of Science and Technology, we have successfully developed and manufactured a series of products, such as stainless steel refining agent (solid free agent), refractory steel refining agent, carbon steel (special steel) refining agent, degasifying agent for stainless steel slag, degasifying agent for carbon steel (low alloy steel) slag, refining rod and anti-piping compound etc. Our company holds two new patents on the casting material. Patent one: Refining rod technology ( ZL200520069888.0). The patented technology is an important breakthrough in the field of deoxidizing refining, and will fundementally change the traditional method of scattering deoxidizing agent on the surface (for refining). It has been proved by the practical applications that the technology had siginificant improvement on both the product quality and cost efficience.